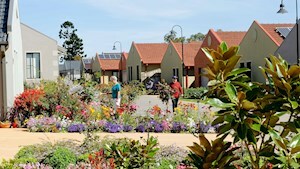 SARVRA’s mission is to enhance the lives of South Australians who live in retirement villages by representing them as a united voice within Government, the retirement village industry and retirement villages. SARVRA was incorporated as a not-for-profit association and does not receive any Government funding. 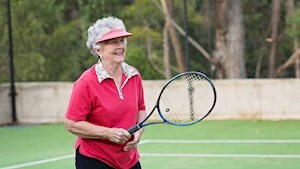 We were established collaboratively by the Council of the Ageing (COTA) and the Commissioner for Ageing in 1991. SARVRA has built close relationships with key decision makers within the State Government other parties and independent members of Parliament. We have strong and enduring relationships with the Council of the Ageing (COTA), the Office of the Ageing (OFTA), the Aged Rights Advocacy Service (ARAS), and the Catalyst Foundation (Formerly the Seniors Information Service). We have assisted thousands of members in seeking advice and resolution of issues for themselves or their villages. We have assisted many villages with the formation and ongoing operation of a Residents’ Committee. 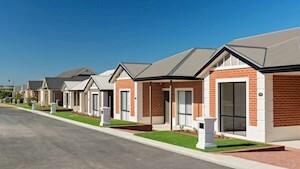 We have been a strong and supportive advocate, through submissions to the State Government, in relation to both the new Retirement Villages Act (introduced from 1 January 2018) and the Act’s supportive Regulations. 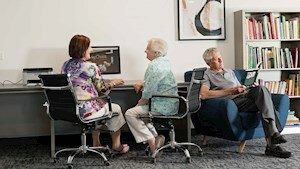 For many years SARVRA lobbied for the establishment of a State Government funded Aged Rights Advocacy Service (ARAS) to provide support to and to assist retirement village residents to understand their rights under the Retirement Villages Act. This service was introduced in 2015. SARVRA embarked on a campaign in December 2017 to have the State Government reverse the SA Water policy bungle that SARVRA believes will increase water rates by up to 700% for some retirement village residents. We received good coverage in both the Sunday Mail and The Senior newspapers. As the 2018 State election campaign started to gain momentum, both major party leaders visited villages in the marginal southern seats. These visits presented the perfect opportunity for local SARVRA village representatives to call on both parties (which they did) to declare their position on the policy which discriminates against retirement village residents. SARVRA also called on both leaders to announce, should they be in a position to form the next government, that they would then appoint a Parliamentary Select Committee to investigate the concerns of village residents. In support of the new strategy we issued a media release to state-wide print and electronic media outlets including all election candidates. The story was quickly picked up by Leon Byner of 5AA who gave us fair and impartial airtime. Our efforts were rewarded one week before the election with an announcement from the Liberal Party that, if elected, they would have the matter investigated by a Parliamentary Select Committee within six months of forming Government. Our funding comes from from membership fees (currently $5 per year) and from sponsors of the SARVRA quarterly newsletters who contribute to the costs of printing and distribution. SARVRA does not receive funding from the Government which means we can offer an impartial view about retirement village issues. The day to day activities of SARVRA are managed by a committee made up of volunteers elected at SARVRA’s annual meeting. No more than two committee members may be elected from any one village. The SARVRA Committee meets monthly at the COTA Building, 16 Hutt Street, Adelaide. The SARVRA Constitution may be downloaded here.